Kido Award: A very broad category that can be awarded for any work that goes above and beyond the norm. Our educators can be nominated by pretty much anyone, including other staff members, centre management or families. Recipients of an award receive a certificate and select a voucher from a range of local businesses. Congratulations goes to Miss Kat and Miss Cloe who both received awards at our latest staff meeting. Miss Kat has been the recipient of many Kido awards over the years. She received her latest award after being nominated by her colleagues for creating engaging outdoor learning environments, which invite exploration and promote children’s learning. 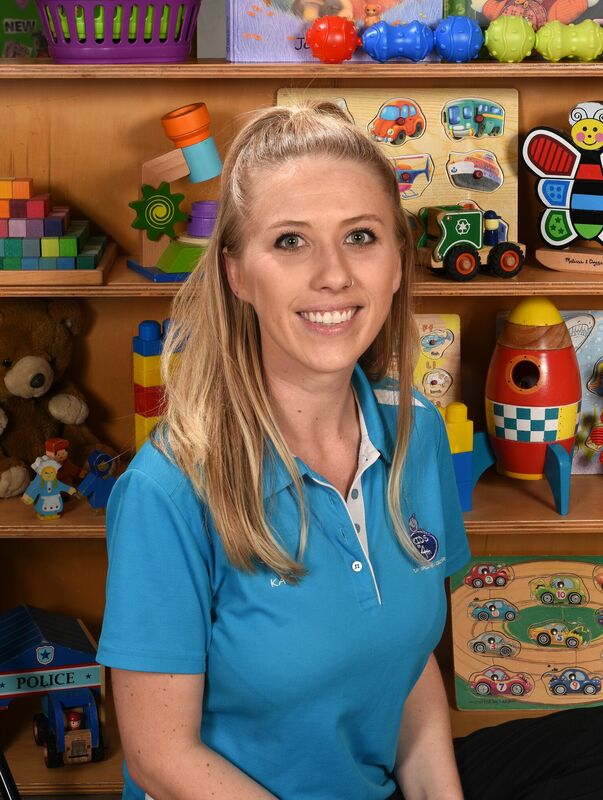 A little more about the wonderful Miss Kat: Kat, along with many of our educators, was born and bred in the Palm Beach/Elanora area. Kat attended Elanora High School where she completed her Certificate III in Early Childhood Education and Care. Shortly after leaving school joined the team at Kids on 4th. We have been lucky enough to have had Kat working with us for nearly 10 years since then. During these 10 years Kat has gone on to complete her Diploma in Early Childhood Education and Care and has worked in every room at Kids on 4th except the babies’ room. Kat’s latest passion is travel and both the staff and kids always look forward to the snaps from her latest trip. Her most recent trip has been to London to surprise her sister who is currently based there. Coming from a family of four girls, Kat shows amazing dedication to her sisters and she brings this wonderful nurturing nature to Kids on 4th every day. Being an educator comes so naturally to Kat. She has a wonderfully honest and open approach to her work and has become one of our most senior educators at Kids on 4th. Cloe, also the recipient of many Kido awards, received her latest award for her adaptability in being able to effortlessly work across all age groups in the centre. Currently, Cloe works as a float/relief educator and being able to seamlessly walk into any room at any time and know what needs to be done is a much-appreciated skill. Cloe also received a Kido Hall of Fame Award in recognition of her reaching the milestone of 5 years of service at Kids on 4th. A little more about the wonderful Miss Cloe: Like Miss Kat, Cloe has spent most of her life in the Palm Beach/Elanora area and also attended Elanora High School. Cloe actually joined Kids on 4th before she left school, doing her prac hours here whilst completing her Certificate III at Elanora High. Even as a teenager it was evident that Cloe had a passion for early childhood education and care. Cloe’s easy going and hard working nature meant she never really left! 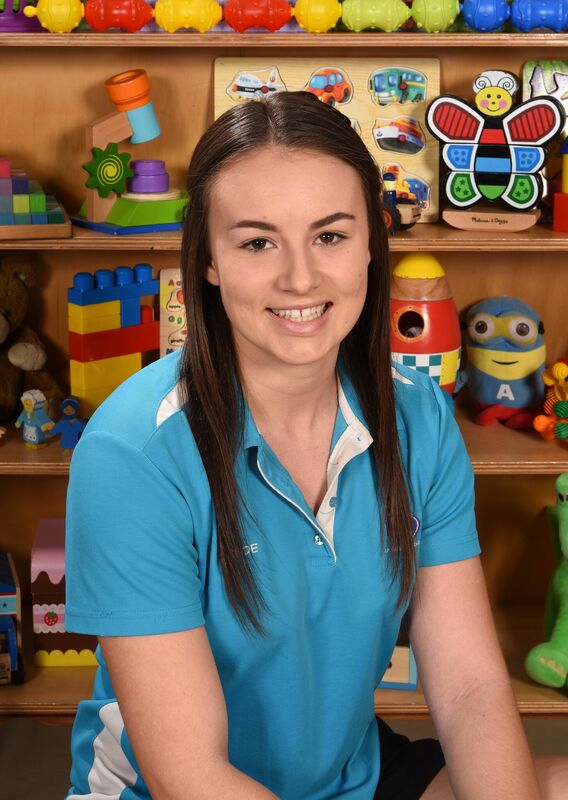 Cloe has gone on to complete her Diploma in Early Childhood Education and Care and is currently about half way through completing a Bachelor in Primary Education. Over the last 5 years Cloe has worked in every room at Kids on 4th and does a magnificent job stepping into rooms when other educators are away or on holidays. This is such an important role at any child care centre and Cloe’s ability to step seamlessly into any of our rooms for a period of time is a testament to her wonderful skills as an early childhood educator.